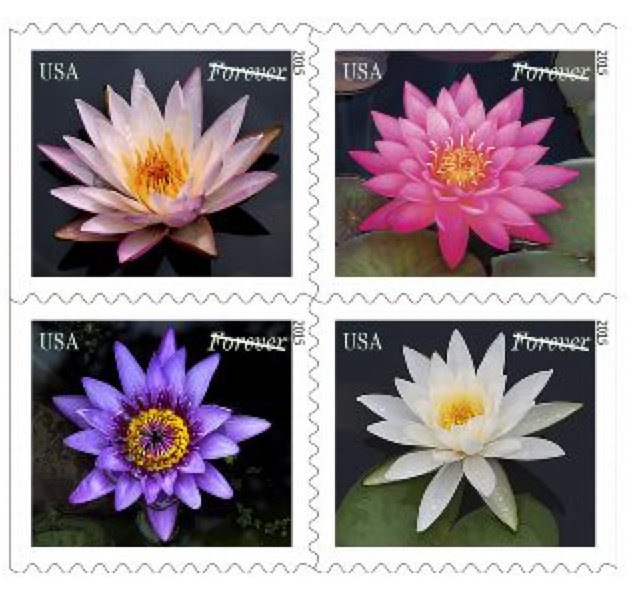 Waterlily stamps features in Washington Post gardening column today! Author Adrian Higgins writes about his pond and references the waterlily stamps in today’s gardening column in the Washington Post! Click on the link below to read the entire column. 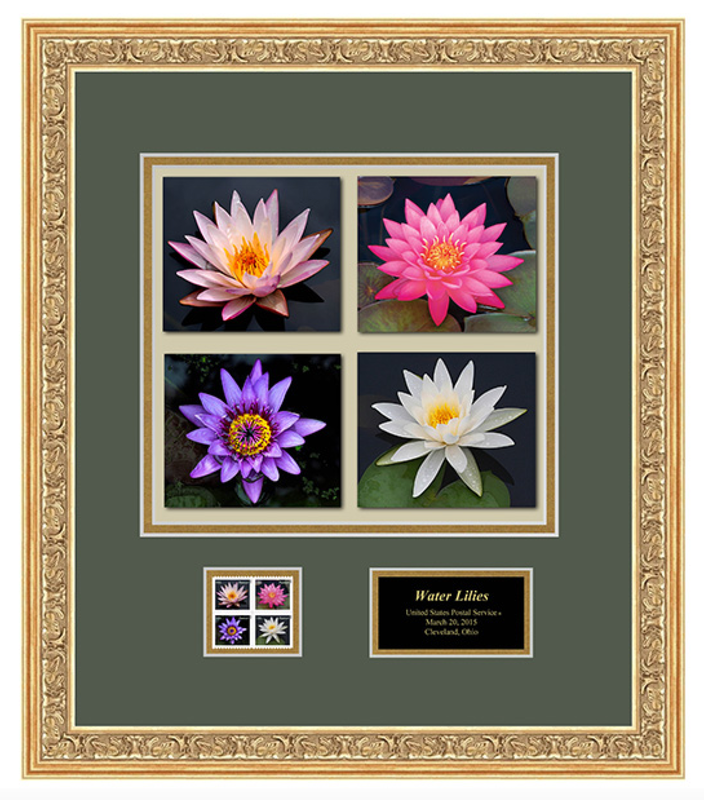 Framed Waterlily Stamps Available from USPS! 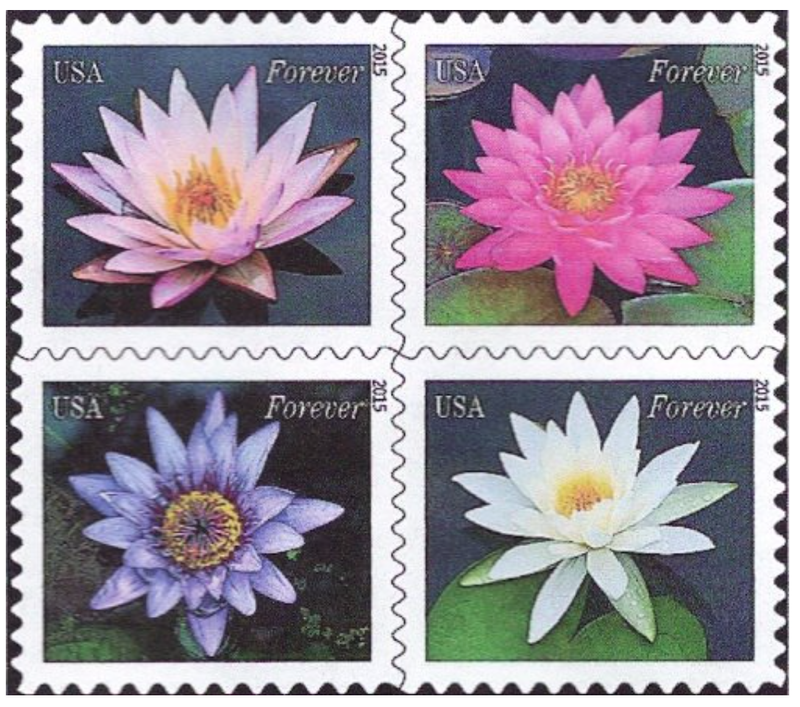 Okay, ONE more post about the waterlily stamps. I just discovered they’re doing a framed version with the photos enlarged and the stamps underneath for $39.95! I didn’t see that when I ordered my first day covers. It’s really pretty, too. Check it out in the link below. Love the look of the keepsake envelopes with the pretty watercolor-y typesetting! 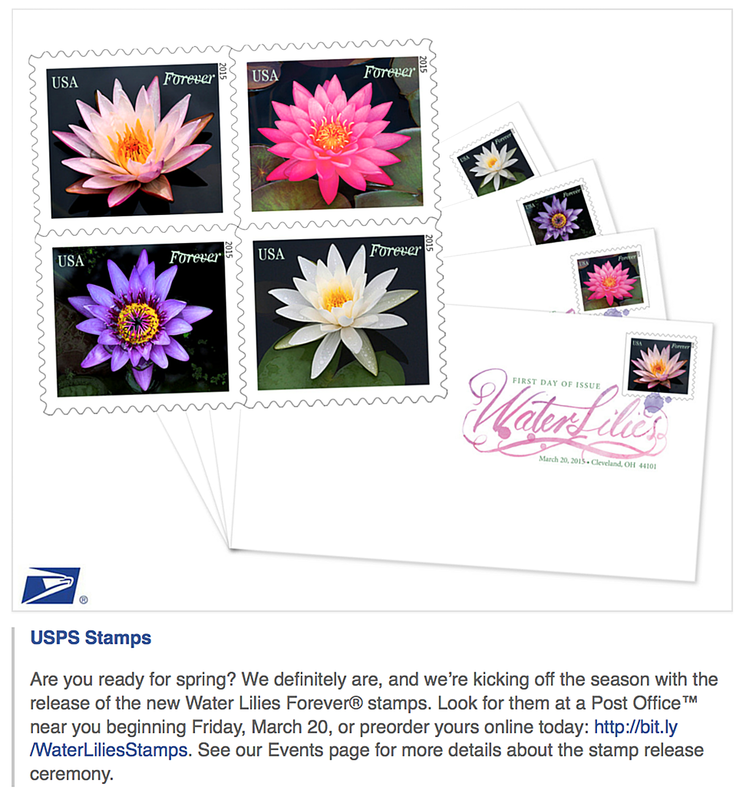 Another shameless plug for my waterlily stamps! Here’s a cool statistic that I just learned from the USPS PR man—normally they print stamps in quantities of 40-50 million. They’re printing my waterlily stamps in a quantity of HALF A BILLION—500 million stamps, which usually only happens with their holiday stamps. He said flowers tend to sell particularly well so they’re hoping this is the case with these. My waterlily stamps debut in March! Look what I just found! 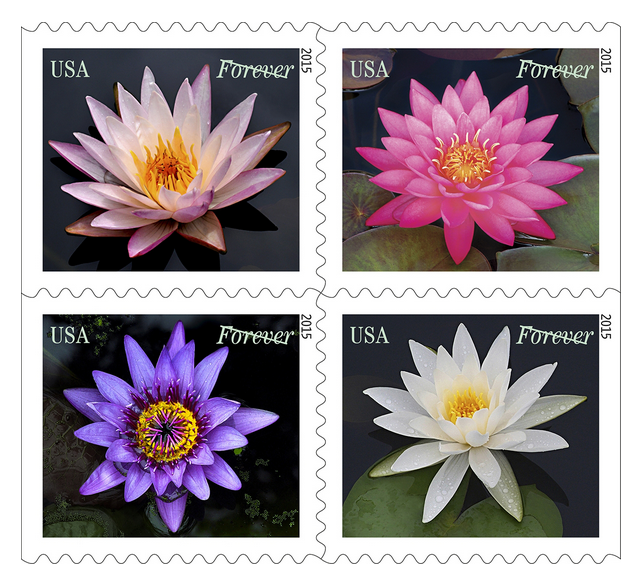 The Garfield-Perry March Party stamp show will host the First Day Ceremony for my four waterlily FOREVER stamps on Friday, March 20 at 11:00 am. The show is March 19-21 in Cleveland, Ohio. Guess who’s planning a road trip to Cleveland in March?